While much of GFI’s focus is on improving the capacities of customs departments, it is unfortunately rare for us to find American law firms writing articles on customs issues applicable to our work. Attorneys at the global law firm of White & Case have recently published one worth reading, however. The authors are noting the increase of U.S. enforcement in the customs area, and most of the cases cited involve trade misinvoicing/fraud, a practice which accounts for about 80 percent of GFI’s illicit financial flows estimates—illegally draining US$730 billion from developing and emerging economies in 2012. In particular, the article discusses the rise in the use of related statutes in customs enforcement actions, including the United States’ money laundering and smuggling statutes. There is even a brief mention of a legal action where the U.S. Government brought a case against the bank that provided financing for the illegal trade transaction. This uptick in enforcement of trade misinvoicing/fraud using related statutes is not surprising to us at GFI. The global understanding that measurable illicit financial flows are primarily the result of these practices has been steadily growing. In 2012, the Financial Action Task Force (FATF) revised its Recommendations (which are the international anti-money laundering and terrorist financing standards) to require that tax crimes and smuggling (including in relation to customs and excise duties and taxes) be included as predicate offenses for a money laundering charge. 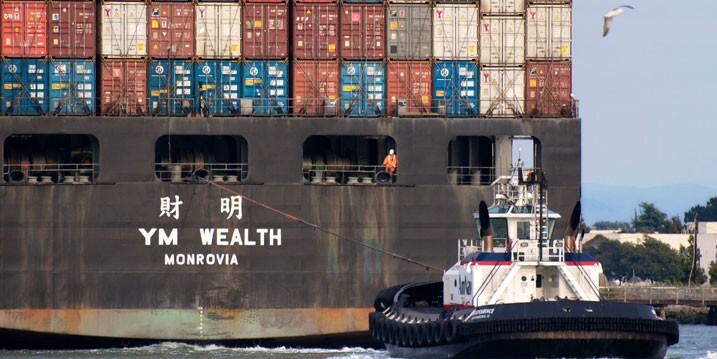 The message behind the change is clear: governments understand that trade misinvoicing is a serious problem generating billions of dollars in criminal proceeds, and governments need to recognize the problem and put resources to curtailing it. The underlying cases cited in the White & Case article are still fairly focused on the typical commercial trade enforcement areas such as anti-dumping, customs duty evasion, and the smuggling of products containing U.S.-banned materials, but trade misinvoicing is also used as a cover for the movement of many forms of illicit money around the world as well. The Lebanese Canadian Bank case demonstrates its use to move terrorism-related funds, the SEC’s 2015 FCPA settlement with Goodyear Tire & Rubber and the recent FIFA corruption case demonstrate how trade misinvoicing is used to move bribe payments, and the big money laundering sting in Los Angeles’ garment district centered on the black market peso exchange, which is one version of trade misinvoicing-based money laundering. The breadth of illegal activity that is facilitated by trade misinvoicing, from tax evasion to imports of dangerous and illegal materials to corruption and drug and human trafficking, is truly frightening. White & Case has highlighted the U.S.’s increased enforcement in this area, and GFI contends that it is about time the U.S. became serious about this problem. The rest of the world must follow suit. Editorial Note: This blog originally attributed the quote at the bottom of the fifth paragraph regarding African trade misinvoicing to the UN Financing for Development Outcome Document. The quote should have been attributed to a report by the African Progress Panel. The Article has been updated to reflect this correction. Image: Container Ship and Tug by Ingrid Taylar [CC BY 2.0], via Flickr.